CSR Racing is a free-to-play drag racing game developed by Boss Alien and NaturalMotion for on iOS, Android and Mac OS. The game follows a new racer looking to make a name for themselves in a city ruled by five racing 'crews'. Race your dream car in the ultimate test: a drag race along deserted city streets. 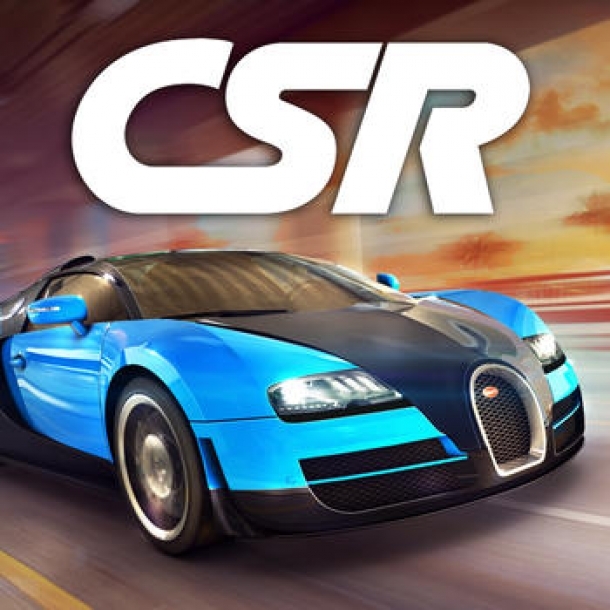 CSR Racing is a free-to-play drag racing game that follows a new racer looking to make a name for themselves in a city ruled by five racing 'crews'. Race your dream car in the ultimate test: a drag race along deserted city streets. The cars in CSR Racing are categorized on the the basis of tiers. The single player is divided into five tiers ruled by crews, progressively getting tougher with cars of higher ratings. The following pages cover the various racing types available in CSR Racing. 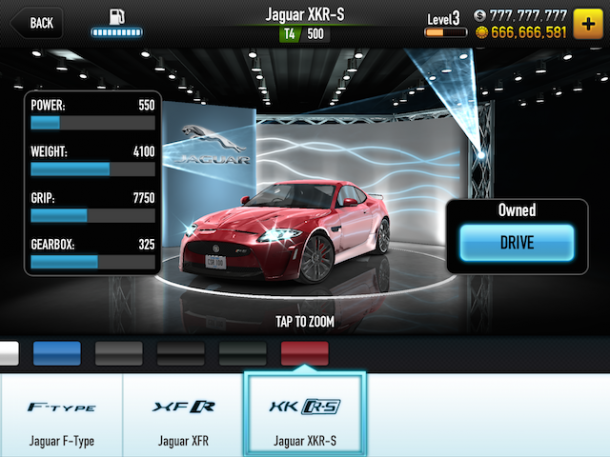 Various components of a car can be upgraded in CSR Racing. These can show positive, as well as negative changes, on a car's statistics. Some upgrades, such as decals and paints, do not cause any changes to the statistics, though when applied give race cash bonuses. CSR Racing offers an online Multiplayer Mode, where a player has to spend Cash to enter a room with six opponents. The following pages cover the screenshot and videos available for the game. The following pages cover the in-game achievements available in CSR Racing. Welcome to the CSR Racing Cheats and Codes page where our team of contributors will help you with a set of cheats, codes, hints, hacks, tips and unlockables. It says I have to wait 9999 minutes for gas. Why? And how can I fix this?? ?